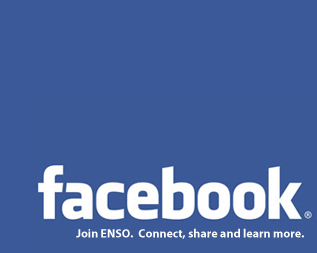 ENSO Plastics on Facebook - Like us for a chance to win prizes. Join us and other fans from around the world on Facebook, where we collaborate, share ideas, and spread the word about ENSO Plastics, to help make plastics earth friendly! By collaborating with others around the globe, we set out to make a real difference. One that you can witness and be a part of. So, what are you waiting for? Get connected and get involved!